in this years 2018 Interleague Squads. WE ARE PROUD ROOS! Congratulations to all! 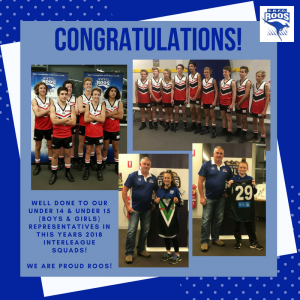 No Replies to "Congratulations to our U14 & U15 Reps in the 2018 Interleague Squad"